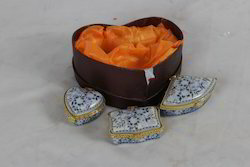 Our range of products include imported ceramic heart shape box, imported ceramic utility set, imported white metal dry fruit box, imported white metal fruit bowl, imported white metal mirror and imported white metal duck with 6 spoons. 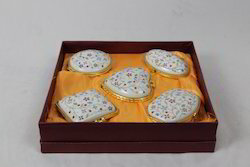 We are a well-known name in offering wide variety of Imported Ceramic Utility Set in diverse, attractive designs. 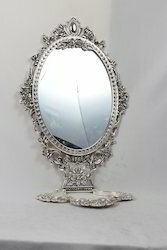 We specially fabricate this range with best quality material and highly creative and attractive designs. 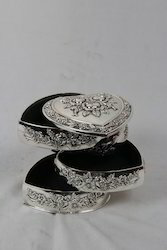 As a result, these are extensively opted for by many clients to gift pack jewelry, gift articles and dry fruits. We also custom make these dibbis as per the specific requirements of our clients. These attractive dibbi is with pleasing embellishments are offered by us at most competitive prices. 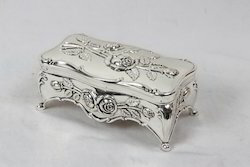 We have in our stock a high quality range of Imported White Metal Dry Fruit Box. These are best suited for memorable gift articles. They have designer meenakari effect on their covers. They are available in variety of designs, sizes & finish. Customize designs can be manufactured on demand. 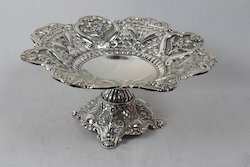 Our range of Imported White Metal Fruit Bowl will take your breath away with its elaborate designs and delicate craftsmanship. These are made from the premium-grade raw materials that are procured from the most reliable vendors. We use state-of-the-art technologies to craft these masterpieces by observing rigid standards of quality and environmental safety in compliance with the global norms. These are available in various sizes as per the clients’ requirements at industry leading prices. 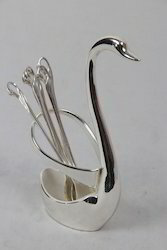 Owing to our rich industry experience, we are engaged in offering high quality Imported White Metal Duck With 6 Spoons. 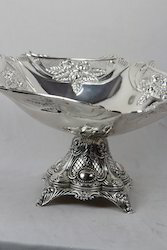 These bowls are made using optimum quality raw materials, which are procured from some of the reputed and authentic vendors of the industry. Moreover, each product offered by us is quality tested on certain quality parameters by the quality controllers, who are well versed in their respective domain. 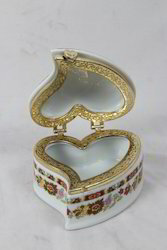 We have available with us this high quality Imported White Metal Heart Shape 4 Section Box with us in order to fulfill the gifting requirements of our customers. 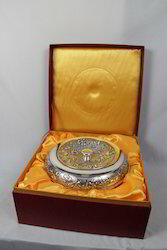 This box is recommended for prefect impression casting as it has been given a high quality and supreme finish. It can be used for offering up to five different kinds of items. Looking for Imported Items ?